Procrastination & Habits – What is Willpower? How do you overcome procrastination? If you’re like me, you usually don’t. Many people draw upon willpower. I suspect most ADHD/ADD people would admit that willpower is not one of their top 5 strengths. Or top 55. But willpower is one of those traits like confidence, shyness, or yes, ADHD, that’s hard to define. Because it’s hard to measure. Because it falls on a spectrum. We all have some willpower, now and then. Some more than others. And not eating the chocolate cake because you hate chocolate, you’re allergic to it, or the dog licked it is not willpower. So what is willpower? For this discussion let’s assume it means the ability to stick to a task that you really don’t enjoy. Some people can stick to unpleasant, boring, complex, difficult tasks longer than others. And I admire those people. I even married one of them. And yet if I look at a particular task that I’d rather avoid, be it doing the dishes, right now, even though it’s almost midnight… I would always leave them till the morning. You would too, right? Can I get an Amen? It was an easy choice: Scraping dried ketchup and chicken grease off of a pile of plates… OR… crawling into a warm bed? Do you pick what’s behind door number one: Cold plates, gunky cutlery, mucky water full of bobbing food scraps… OR…. Door number two: a warm, soft bed (mine has the bonus of containing my warm, soft wife). Or, I used to. Now, I choose number one. Now I actually wash the dishes before falling into bed. Okay, not always, but mostly…. Well, not mostly, but more than I used to…. Okay fine! I washed the dishes last night. And I did it twice last week, the point is I NEVER did this before! I think the first thing that shifted was when I realized it wasn’t necessarily a choice of door number one, the sink that resembled a swamp OR door number two, the blonde lady between the soft covers. It wasn’t OR. I could have AND! Both a clean kitchen AND a warm, wife-filled bed. The second thing that fostered this new habit was making door number two the reward for having finished door number one. In other words the warm bed was the payoff for not leaving a Leaning Tower of Plates in the kitchen, covered in uneaten food that was self-composting into something even worse by the morning. She said, “I just like coming down in the morning to a spotless kitchen. It’s welcoming. It’s so much nicer to make breakfast when everything is fresh and clean.” At the time I thought, “Really?” But I didn’t say that. Instead I grabbed a towel and dried the dishes. But what Ava said left a tiny itch that I’d forgotten about but not really forgotten. Over the next few weeks I came to appreciate what Ava had said. I’m usually up first. Coming down to a clean kitchen, with our limited counter space free of food scraps and dirty dishes was oddly pleasing. Well, odd to me. I hadn’t noticed it before. Eventually, one night, I did the dishes. (Major bonus points.) And in the morning, I made a point of noticing how great it looked. I admired the clean kitchen like it was a work of art. My creation. So part of the reason I built the new habit was making the thing I normally did, falling into bed, the reward for the thing I didn’t like, dishes. And then savouring the reward in the morning. There’s two other things that shifted, or I shifted, that have made this into a new habit. More on those next time. i think to look at energy, planning, and desire as a better way to to think of getting things done…what do we really want, to make a few more facebook comments or wake to clean kitchen?… sometimes i only have the energy for a facebook comment…or maybe i have to decide whether to have late taxes or spend a saturday doing them…. I need to stop and think about my needs and desires, what bests serves me…or what do i really want, taxes hanging over me? a big project needs to be broken down to make it easier too…set up a box for the files I will need..next saturday, organized them..the following sat…put it down on income form…If I know something is going to feel overwhelming, i’m much more inclined to avoid it. me too!…dishes when i’m tired is no go…but have often been commenting on or reading the computer during the day when i great energy to get some more useful and important done! For those tasks that have no reward, I find you just have to elevate the task to habitual status. This essentially creates an OCD state whereby completion of the task before doing X is a must do, not just an option. The downside is that one becomes so habitual that adaptability is hindered, i.e. deviation from setting or time of the task may create stress. If I launch a habit, I have to be compulsive – rigid – to maintain it. If I let any part of the routine go, it’s almost impossible to get back on track. Although I’ve managed to form various habits or routines at different times of my life, they can get broken – even after a couple of years. When I want to start something new, I try to remind myself that starting is the hardest part, like wading through quicksand, but once I get some momentum, I usually can’t stop what I’m doing and switch to a different task. Which is fine, if what I’m doing serves me. While avoiding my business ethics homework I saw the last end of your new dvd on pps and found this site. 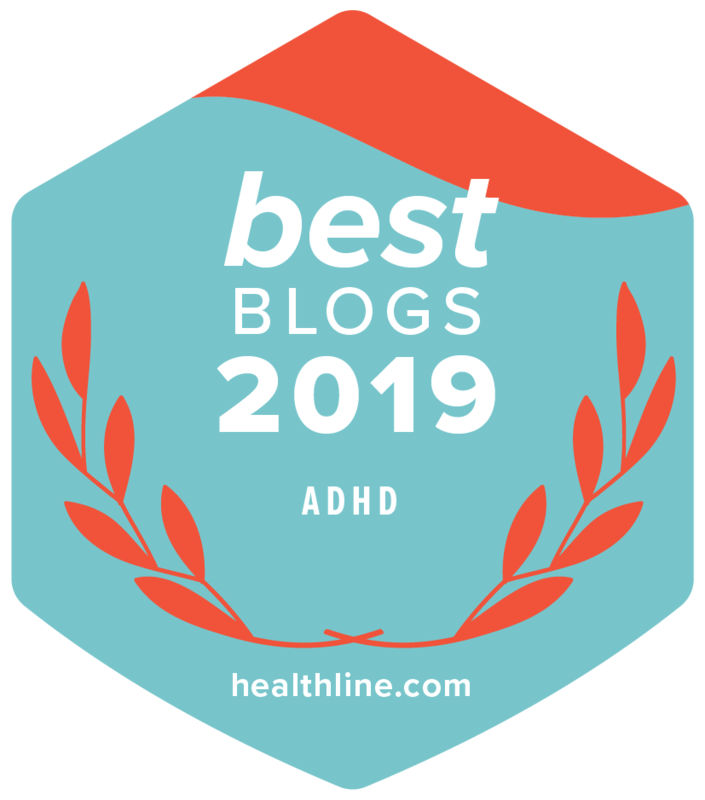 I had ADHD as a child but was told that it was out of my system by my teens. I now have a feeling that that was a lie. Everything you mentioned I face each day but just didn’t know how to fix it. Thanks for the dvds you created and for this site. I have suspected I had ADD for a while but have been told it’s not possible. One person told me ADD people were impossible to live with. She knows. She heard it from a professional. The other told me I couldn’t because I can focus on things I loveto do. My husband recorded ADD & Mastering It and from there I heard about this site. I thought I should start here. Yep. Thank you. “Why do today what can be put off until tomorrow” used to be my motto until I realized that everything I put off usually ended up being twice as hard. Despite my ADD, I’m a lot like your wife – I have to get stuff like housework done before I can relax, mainly because I am visual person and anything visibly undone distracts me! Thanks for sharing! Never put off ’til tomorrow what you can do today. If you do, it will lead to sorrow. You can do it again tomorrow. My life is RULED by procrastination on the household level because I always have something more IMPORTANT to do that that! Maybe I’m overweight because of always taking the easy (no dirty dishes) way of eating, like OUT. Wow, I even pay someone to clean my house cause of the same reasons. Just thought I was lazy. I’M STILL NOT CLEANING MY HOUSE GOSH DARN IT…. but I can do dishes daily. I’m going to use a timer and reward myself with time on my Iphone playing Bubble Mania (well I’m gonna do that anyway but NOT before I do the dishes, i.e. 2 full sinks). You can try the Fly Lady method, I’m sure it could help you! The basics are : Shine your sink and all will come with it, Baby steps…chaos didn’t arrive overnight and won’t go in a day, separate your home in different zones where you give a 15 min every day for a week (1 zone each week), and other small advices very helpful! You seem to have the same ideas, it could just keep you up to it 😉 Congratulations! (BTW, I’m a mom at home and I have to pay someone to help me cleaning… FAIL lol) It encourages me to read you because dishes is a real struggle here…we are 2 ADHD with a possibility of 4… so getting something, anything done is… a nightmare! So you encourage me to try harder to keep it clean… Thank you! After decades of NOT doing the dishes, I finally, somehow, managed to overcome this habit – perhaps because my sink was always full of dishes, which meant I couldn’t eat, unless I spent a fortune on take-out – starting “passively” by just filling the sink and letting the dishes soak (for a few hours, sometimes overnight) and then building to a point where I now do the dishes every morning while the kettle is boiling. I still have to conquer keeping the rest of my apartment clean, but at least now my kitchen is functional. Somewhat surprisingly, I have the opposite problem: I always do the dishes because I can’t count on anyone else in the house to do them. Not that I haven’t put them off for my own reasons – but usually I put them off and ask others to do them, and then they don’t get done until I need them to cook a meal, and then I have to do them, no choice. 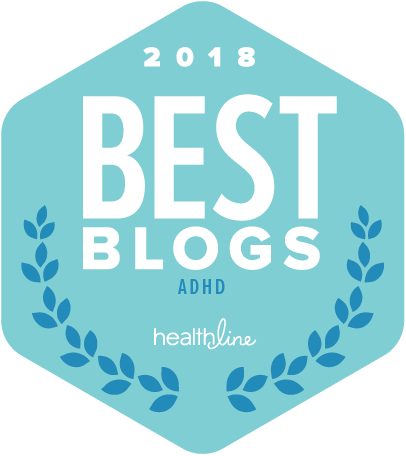 Funny thing: nobody else in the house as ADHD! PLEeeeeease keep sharing that type of mind-thinking process Rick! We need all we can get from those who have overcome (or at the least made significant improvements in their habits). It personally helps me to understand the mindset that occurs from someone’s success. One of my most recent milestones is that suddenly I am not only on time but early! Yay!! …a HUGE milestone for me (patting self on the back ’cause it is still new.) The reason I FINALLY (o.k. so I am 52, be quiet!) overcame being late is most likely maturity and studying ADHD, but more so is that the reward was HUGE compared to the consequences. The more I discovered the reward, the more I wanted to excel. What could one take from my feedback? This: I am reading Rick’s article over doing the *^#$ taxes. Ya see, I am no dummy! Rick’s article, door one. Taxes. Door Twelve. I am tired and door 12 is way, way, way down the hall. 🙂 Diamond. That is sooo accurate in my situation… I tried to have good routines , I tried so many methods (FlyLady was the best), but after a week of two (if I was very very very motivated), I’d give up… and I’m sooo creative at finding escuses : I’m too busy, I forgot, I just don’t feel like it, I can do better than the method, but all those were excuses… I really wanted to get a routine, but it seemed I was just unable…and I gave up and accepted the chaos, that comes with lots and lots of anxiety, shame and frustrations… but a few weeks ago, I realised that when I started my day with the kids, I was un the rush and I were stressed all day… so I dug out a journal I had found months before, it’s about creating new habits. Every day you have a planning section, a question to answer about the day and the follow up of the new habits. So I decided that from now on, I would simply clean up my desk, take that journal out and fill it up for the next morning before going to bed, and the morning, I would wake up 30 minutes before kids (6:30) to look at my journal, my agenda and mails, smoothly and quietly. Well I must say I’ve done it for over a month and my willingness to get the chores done had risen way above what I was used to. Last week I got very tired because of a trip I made in the week end and just couldn’t keep up to it…and my week has been upside down all the time. So tonight I’ll start this up again. So those 2 simple things had incredibly rise my motivation to get things done : preparing my desk for the morning before going to bed and waking up 30 minutes earlier… I can’t say what exactly happened in my brain…but I just decided to do it and did it… and it seems to work! i hate waking to dirty dishes, but i often don’t have energy at night to do them, especially if i made a big meal or had people over…and the challenge only gets worse with age…i have actually hurt myself, forcing myself to do them when i was exhausted…why force a tired body to slogg through pots and pans in slow motion, when a good night’s sleep will bring renewed energy and doing them will be a breeze? plus the lighting is much better…i found that the dishes certainly can wait.